Due to the rapid growth and building boom in Dubai and an increase in German-speaking people moving to Dubai associated with this, the recognised German school abroad in Sharjah, that had already existed for almost 30 years in the Emirate of Sharjah, opened a branch in Dubai commencing the school year 2004/2005. The Al Mawakeb School in Al Barsha provided the premises for this purpose. In December 2004 the ruling family of Dubai gifted the representative of the German School/Dubai branch a plot of land in Academic City. According to the plans of the ruling family of the time, all schools and universities were to be accommodated in this district. As a result of the increasing demand for Kindergarten spaces, the Kindergarten moved to a villa in Jumeirah at the beginning of 2006. Efforts and plans by the German School Sharjah/Dubai branch to build a joint school on the plot in Academic City met with many obstacles. On the one hand financial securities were missing, however, on the other hand there was also resistance by the parents to give up the Sharjah location. In August 2007 the Dubai branch moved to Academic City to the premises of the Dubai English Speaking College (DESC). The number of pupils including Kindergarten had risen to 140 in the meantime. Many were of the opinion that it was a reasonable solution to split the schools in Sharjah and Dubai since there were many differences. This is how the schools of almost the same size came to be settled in two emirates with different legislation. 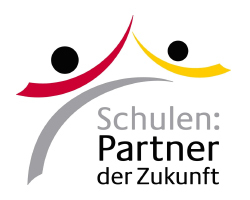 On 1st March 2008 the School Association of the German International School Dubai DISD was founded. The number of pupils in classes 1 to 4 had already risen in May 2008 to 25 pupils each per class and thus had reached the number when the classes could be divided. The Kindergar­ten with 60 children had reached its spatial limits. In total 160 pupils were attending the German School in Dubai (as a comparison: in Sharjah this figure was 190 pupils). In June 2008 a two-day meeting took place in Dubai between representatives of the School Association and the responsible clerk from the Agency for Schools Abroad. All necessary contracts for the autonomy of the DISD were signed. Germany committed to sending a school principal to Dubai starting the school year 2008/2009. This meant the independent financial and personnel support of the DISD by the Federal Republic of Germany: The German International School Dubai was now able to call itself an “accredited German school abroad”. In August 2008 the school principal Hubert Brinks took up his post as principal of the DISD. By November 2008 the school including Kindergarten had already grown to 220 pupils. In December 2008 the DISD received the official notification from the ZfA (Central Agency for German Schools Abroad) that it was entitled to conduct the first German International Abitur examinations in 2012. The board subsequently decided to continue the secondary level I with classes 6-10 in the school year 2009/10. The Federal Office of Administration acknowledged the legal capacity of the School Association of the DISD in April 2009 according to §23 BGB (German Civil Code). The planned project for the new building on the site in Academic City was initially not pursued any further due to the costs being too high. At the same time this meant looking for a new school building in order to accommodate the expected number of approx. 300 pupils. On 18th August 2009 the DISD moved into the school building in Al Quoz. In May 2010 the final school examinations in class 9 and 10 were successfully taken for the first time. In August 2010 Mr Thomas Dietrich took over the DISD as the new school principal. The number of pupils also continued to rise consistently in the subsequent years. In the school year 2010/2011, 377 children and pupils were already attending the DISD. The rented school building became too small sooner than expected so that the school management and board considered various alternatives: adding another storey to the building, moving to a larger building, planning a new building. In September 2011 the general meeting approved the commissioning of a feasibility study for a new building in Academic City. In March 2012 the results of the feasibility study were presented to the members of the School Association. The members subsequently commissioned the board to take the next steps. This included the conceptual design and drafting of a marketing concept as well as a financial plan with reliable financing commitments. The 15 graduates from the first Abitur year at the DISD successfully completed the German International Abitur examination in the school year 2011/2012. In August 2013 Mr Gert Blach took over the school management of the DISD. The number of pupils had risen in the meantime to 565. The board presented the general meeting with various financing models in December 2013. The general meeting approved the conclusion of the contract with the Sharaf Group in order to finance the new building. The contract was ceremoniously signed in the General Consulate of the Federal Republic of Germany in Dubai on 19th December 2013. In August 2014 the preparatory work started on the site in Academic City. The official laying of the foundation stone with representatives of the General Consulate, the KHDA, the Sharaf Group as well as representatives of the partners involved in the construction took place on 19th November 2014. The building work progressed well so that the plan to be able to start teaching in September 2015 in Academic City was able to be realised. The school moved into the new building in the summer holidays. On 6th September 2015, 675 pupils and children started the school year in the new school building. The German International School Dubai celebrates the opening of the new building in an official ceremony.